2013 Kelvin Grove Business Park (Kelvin Grove) for Mariva Developments being an infill industrial unit development on a former landscape supplies site. 2012 Multi-Unit Development (Everton Hills) being a Multi Unit Development for 46 townhouses on a heavily constrained site with a waterway corridor and flood management requirements. Urban design and town planning works for a 2200 lot master planned residential community on a 350 hectare greenfield site. Includes community uses, retirement community, commercial hub and education facilities. 2010 Moda Melton (Nundah) for Nifra Developments being a large multi-unit residential development on former industrial land in the heart of Nundah. Project involved a detailed strategic planning to change the use of the land from industrial to residential. 2010 – Hogarth Road (Ferny Grove) for Devcorp to DHA being a material Change of Use for a Child Care Facility and a 30 lot residential subdivision on Emerging Community land on a site containing multiple waterways. 2010 Urban Residential Subdivision (Calliope) being an urban design for a 63 lot urban residential subdivision within the Calliope township, just 15 kilometres south west of Gladstone City. 2010 Small Lot Residential Subdivision (Everton Hills) for Camalee Developments being a subdivision of land into 19 Small Lots on a steep site containing a waterway corridor. Particular attention was given to the waterway corridor with the result being a high quality landscape feature. 2009 Homeland Estate (Warner) for Homeland Pty Ltd being a residential subdivision of 108 lots on a large Greenfield site constrained with an easement for overhead power lines. 2009 Tannum Sands Hotel Redevelopment (Tannum Sands) being a preliminary approval for a Material Change of Use under Section 242 of the Sustainable Planning Act 2009 for a Mixed Use Development incorporating residential, commercial and community facilities. 2009 North Lakes Surveys for DHA (Building Projects Branch) being for surveys for 53 allotments in North Brisbane region. 2009 Park Residential Subdivision (Beerwah) being urban design and surveying for a 25 lot Park Residential subdivision just minutes from the Beerwah township. 2008 Rural Residential Subdivision (Calliope) being a 168 lot rural residential subdivision on the fringe of Calliope. Project involved a Material Change of Use for a Change in Density from Rural to Rural Residential and designing around a challenging topography. 2007 Wamuran Outlook Estate (Wamuran) being complex development project for 42 Rural Residential allotments incorporating two existing development applications with a third development application. 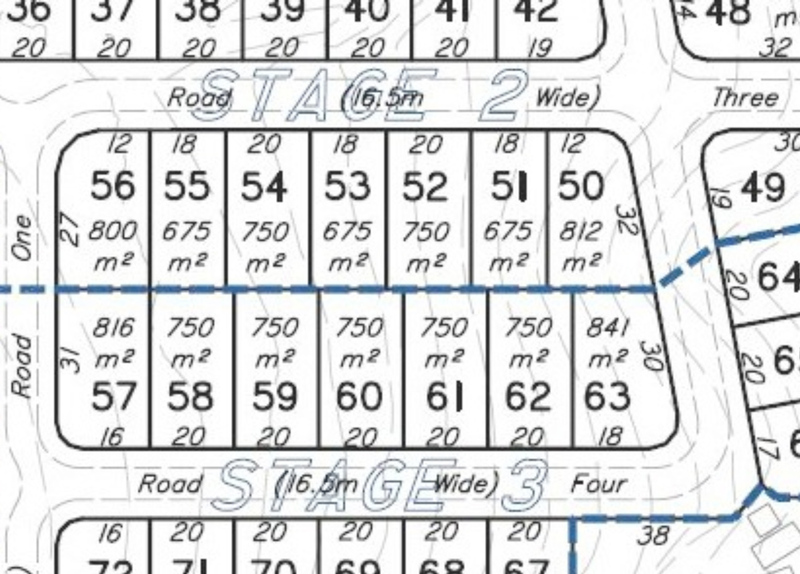 300 lot urban residential subdivision close to the heart of Laidley. Project provides a variety of lots sizes and efficiently uses the subject land. 2004 Rode Road Development (McDowall) for DHA being a multi residential allotment development, providing strategic advice for acquisition including, structure planning, allotment layout and development constraints. 2003 Samford Road Development (Keppera) for DHA being a multi residential allotment development, providing strategic advice for acquisition including, structure planning, allotment layout and development constraints. 2002 Samford Road Development (Enoggera) for DHA being a multi residential allotment development, providing strategic advice for acquisition including, structure planning, allotment layout and development constraints. 1995 Residential Development (Wishart) for DHA being preliminary works of a 14.5 hectare site for residential development. Geospatial technology supplier, 3D Laser Mapping, has helped surveying specialist, NorthGroup Consulting, streamline a highway upgrade in Australia. NorthGroup Consulting was proud to be a supporter of Nardia Styles in her quest to break the Guinness World Record for the heaviest truck pulled by a female over 30m and to raise awareness and funds to help the fight against domestic violence and child abuse. Nardia required an area to be identified that fit the criteria for flatness over the required distance for the record attempt. Our Riegl VZ400 scanner was ideal for the job and the official course was marked out by us. A successful pull of 11.34t was made by her smashing the old record of 8.5t. Congratulations Nardia!!! If you would like to support Nardia with her fund raising please go to the following web site.